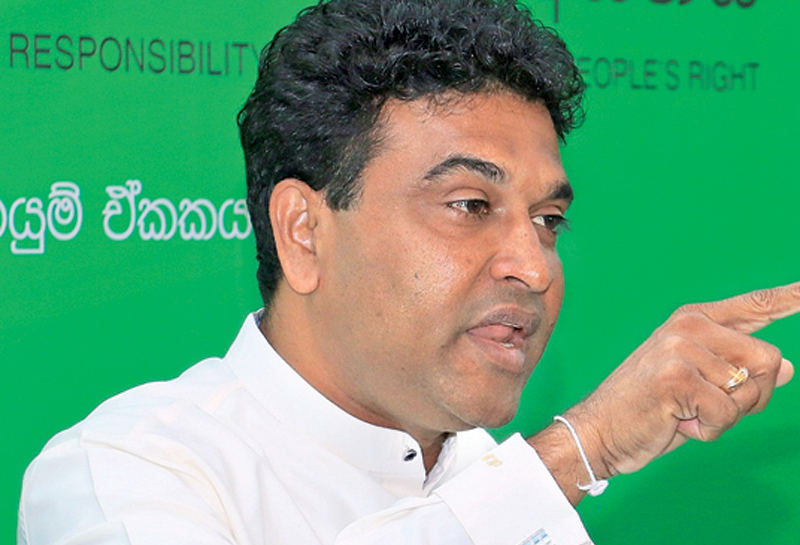 Law and Order and Public Administration and Management Deputy Minister Nalin Bandara said the JO is planning to cause maximum inconvenience to the public today by not announcing the venue for its protest rally. Addressing the media at Sirikotha yesterday, the Deputy Minister said there is democratic space and freedom to protest, but if the JO is planning to inconvenience the public by creating chaos in Colombo, action will be taken against them. “They want to create violence and see bloodshed. No one died during protests held under our regime. That is why the JO is desperate to see such things happen in our tenure.We also urge them to remember Roshen Chanaka who was killed when the JO rally was marching to Colombo from Negombo. Protesters can offer flowers at the place where fisherman Anthony was murdered. Protesters can also offer a flower at the place where ruggerite Thajudeen was murdered in Narahenpita, he said. “How can they shout against the government during the rally in Colombo as they can see Shangri-La hotel which was built on land given outright to China by them?, Bandara queried. Former President Rajapaksa wants his son Namal to become the country’s leader some day and that is why he is leading the protest. They have misled the people that they would topple the government today. Most JO members have a fear that they will go to jail in the coming months and they are now engaging in attempts of covering up. The innocent public do not know their ulterior motives and are just coming for monetary and other gains.